ON Friday afternoon of 2 November 2018, I visited Surface Wilmar based in Chitungwiza, Harare. The company is owned by one of the largest companies in the world in the production of edible oils, based in Singapore. The factory floors are most impressive and world class, and it was not lost to me that this was right in the middle of Chitungwiza. 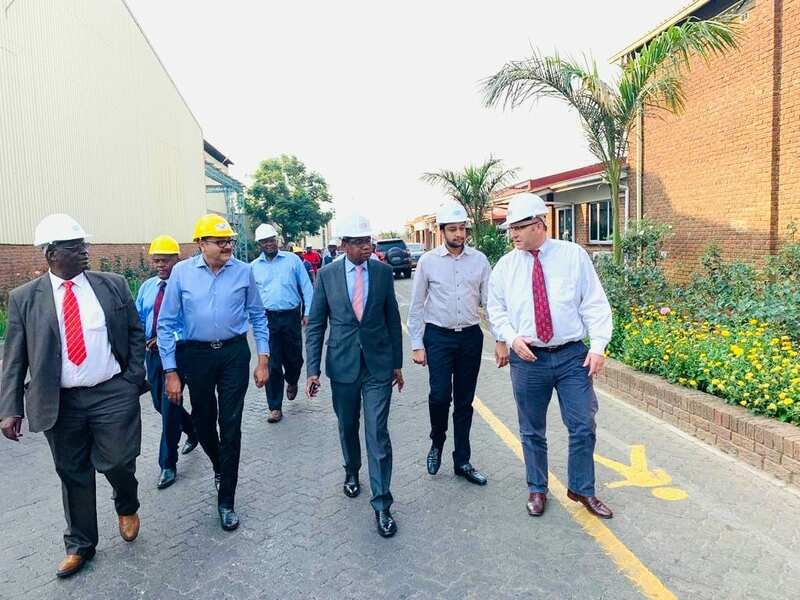 To see this modern plant operated by automated robotic systems, making it one of the most efficient companies in Africa in the edible oils sector, was uplifting, as the last time I have visited a robot-controlled factory was in Hyundai in South Korea a few years ago. The futuristic robotic systems controlled factor floors at Surface Wilmar are testimony to the aspirations of Vision 2030, and the Transitional Stabilisation Programme (TSP), that Zimbabwe can become the gateway to investment into Africa. Turning Zimbabwe into a gateway into Africa means establishing an Offshore Investment Centre with strong links to the Zimbabwe One-Stop-Investment Shop which processes investments. This needs to be seriously explored for Zimbabwe to continue to attract global investors such as Surface Wilmar from Singapore. This means all new foreign investment into Zimbabwe, going forward, could be registered in the Offshore Centre, giving foreign investors similar benefits as are enjoyed in centres such as Mauritius, Guernsey and Isle of Man. There are many reasons why Zimbabwe could be a successful gateway into Africa, through the Offshore Centre. First, Zimbabwe has a highly educated population with the requisite skills to service such an offshore centre. The competent crop of legal firms, accounting firms and other service providers can successfully provide the services needed to support the offshore centre. Second, Zimbabwe has a strong regulatory environment in the form of the Reserve Bank of Zimbabwe, tax regulator (ZIMRA), securities regulators, among others. These regulators are already operating at global standards and are globally compliant in their approaches. Third, the multi-currency regime positions Zimbabwe as an ideal place for foreign investors to preserve their value in hard currency. Even, investors from neighbouring countries could find Zimbabwe very attractive in terms of value preservation, apart from the investments that Zimbabwe offers in the first place. Fourth, locally the Offshore Investment Centre could also help stem any unnecessary capital outflows out of Zimbabwe, as the country would be as good as any centre in the world for offshore investments. Fifth, while there is need to make more investments in Zimbabwe’s infrastructure, the current infrastructure is very good by standards on the African continent, outside South Africa. Having traversed the whole of Africa, in the last 20 years, and when I was with the African Development Bank, I am convinced that Zimbabwe has very good infrastructure. This again makes the country an attractive location for an Offshore Investment Centre. Sixth, one of the benefits to be offered by the Offshore Investment Centre is a special low tax environment for any company that invests through it. ZIMRA has the capacity to administer this dual tax environment of offshore investors and domestic investors. ZIMRA is a member of Africa Tax Administration Forum (ATAF) which ensures that its systems, processes, capacity and capabilities are of world standards. Finally, Zimbabwe banks have the capacity to offer world class custodial services and administrators can equally offer administrative services, where they are required by foreign investors, in addition to the capacity offered by accounting firms and legal firms. Turning Zimbabwe into a gateway into Africa, means establishing such an Offshore Investment Centre. This vision means that investors would now come into Zimbabwe to access the entire opportunity in the region and the rest of Africa, and not just Zimbabwe. It is doable, and sends the right signal that Zimbabwe is truly open for business, even beyond its borders.